One of my other favorite names is the Twice-stabbed Stink Bug (Cosmopepla lintneriana). Yes, that’s a real insect. You can’t just make this stuff up, or maybe you can. 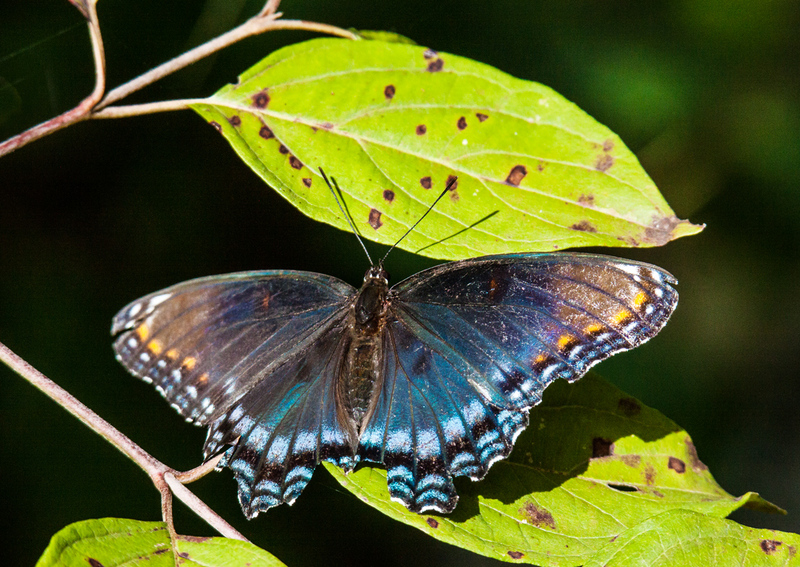 The leaves are speckled with blemishes and the Red-spotted Purple butterfly (Limenitis arthemis) is faded and tattered, but there is real beauty in the imperfection of autumn. 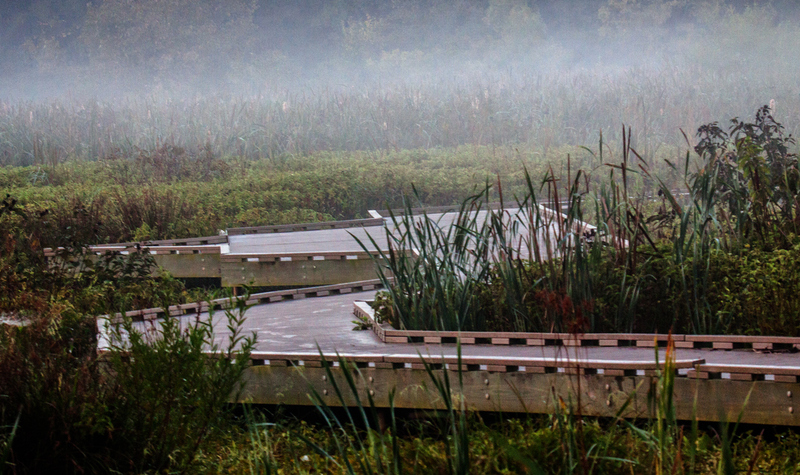 Photographed this past weekend at Jackson Miles Abbott Wetlands Refuge in Fort Belvoir, Virginia. On Monday I spent a good amount of time watching this hawk in a distant tree at Huntley Meadows Park (and, alas, missed the shot when it flew away). 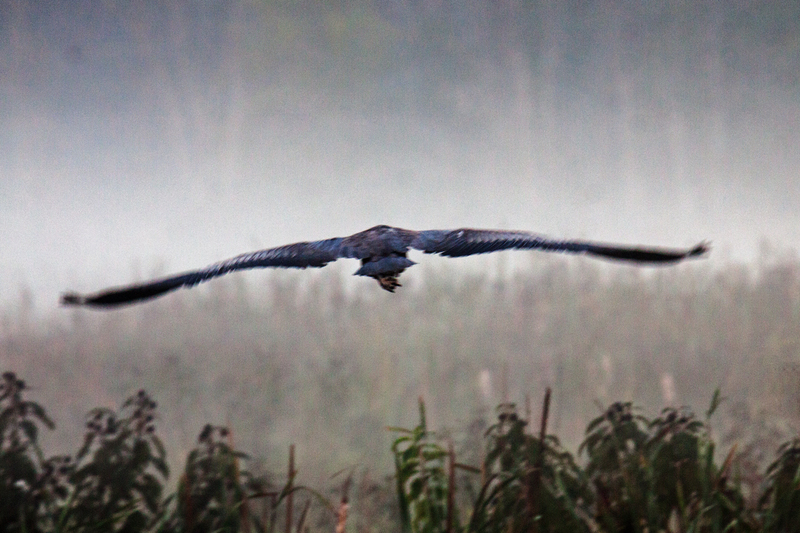 There is something simultaneously beautiful and fierce about hawks and eagles that never fails to attract me. Clouds covered the sky for the entire day and there just wasn’t a whole lot of light to work with. That’s why this image has an almost monochromatic look, which makes the yellow color of the talons and the eye stand out even more prominently. I think this is a Red-shouldered Hawk (Buteo lineatus), but would welcome a correction to my identification. 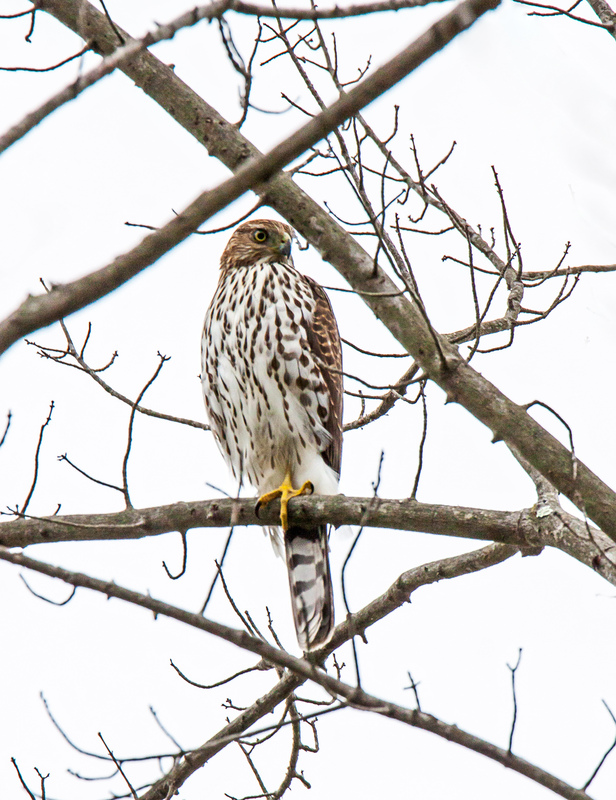 Update: A Facebook friend, who is a much more experience birder than I am, has suggested that this may be a juvenile Sharp-shinned Hawk (Accipiter striatus), while others say it is probably a juvenile Cooper’s Hawk (Accipiter cooperii ). Again I am proving to be identification-challenged. I’m always happy to see a black and yellow garden spider (Argiope aurantia). 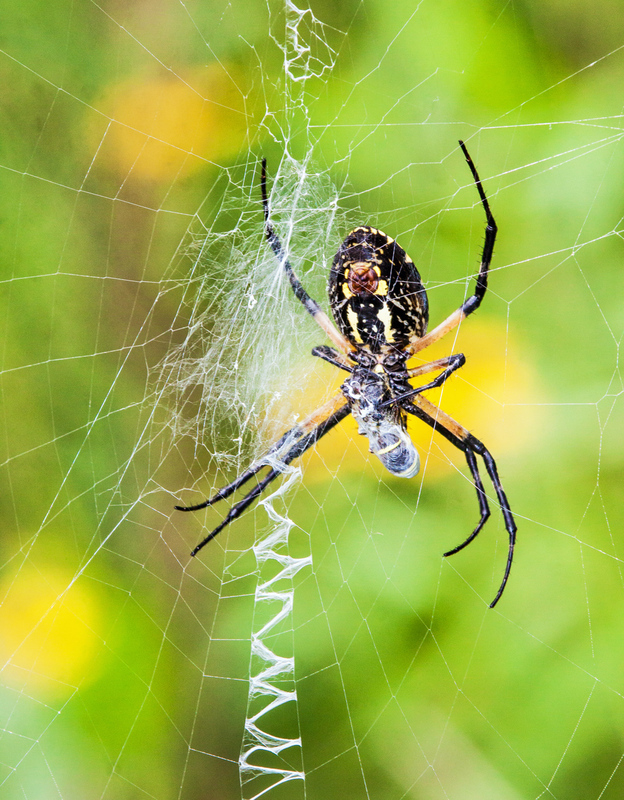 I love its colorful patterns and its intricate web (and apologies to readers who are totally creeped out by spiders). 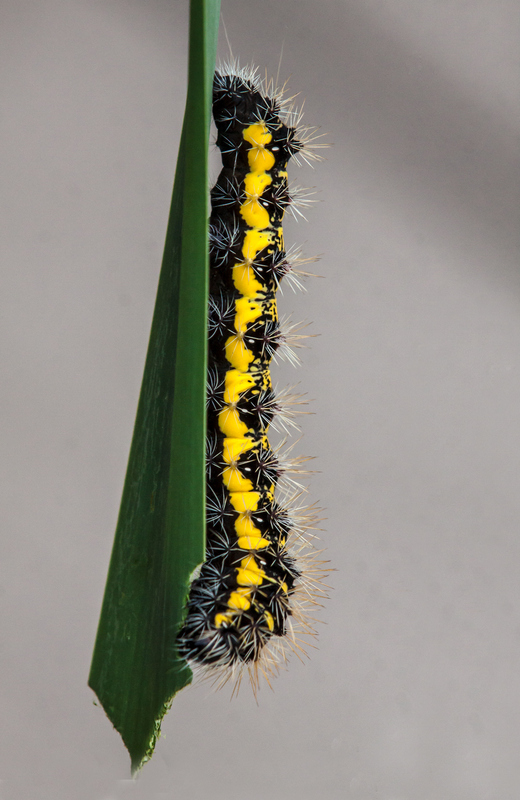 I spotted this beauty this past weekend in a patch of goldenrod at Jackson Miles Abbott Wetlands Refuge. Water levels are pretty low in some areas of the wetlands at my favorite marshland park, providing a perfect habitat for some visiting shore birds. 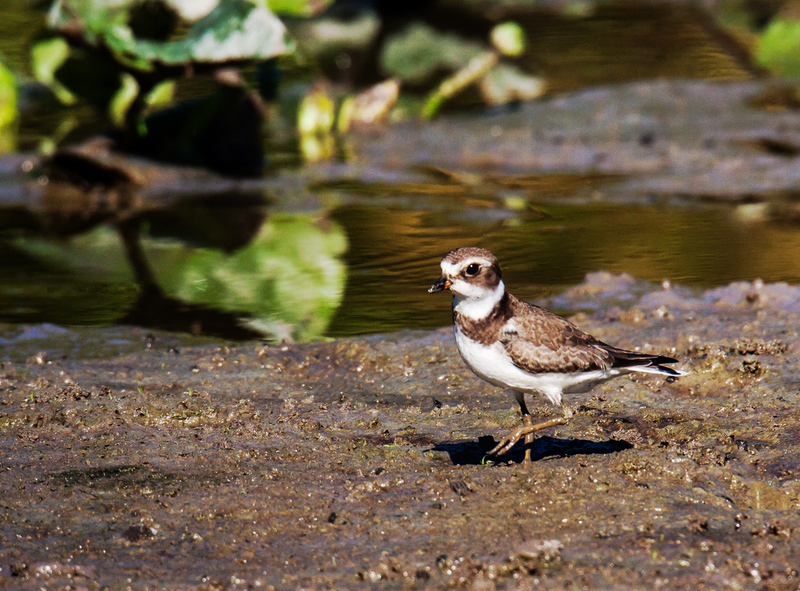 On Friday at Huntley Meadows Park I spotted a number of tiny shore birds including this one that I am pretty sure is a Semipalmated Plover (Charadrius semipalmatus). 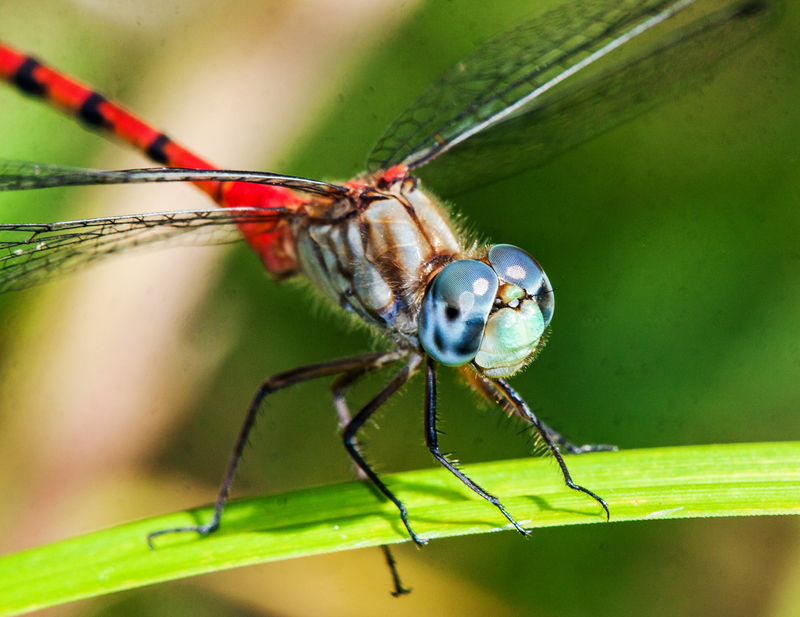 On Friday I had a close encounter with one of my favorite dragonflies, a spectacular Blue-faced Meadowhawk (Sympetrum ambiguum). This species is a sign for me each year of the arrival of autumn and I eagerly await its appearance. I find the blue eyes to be mesmerizing and simply love the way that they contrast with the bold red color of its body. I could go on and on about the beauty of this dragonfly until I too was blue in the face, but I will simply let you enjoy a glimpse of its beauty.